The view from the sea-facing rooms can only be described as breathtaking, they lead out to a large slatted sun-deck and a cocktail pool, a truly tranquil and dreamy atmosphere. The garden-facing rooms are all huge rooms with king-size beds, en-suite luxury bathrooms, and lovely big balconies looking out onto the garden. 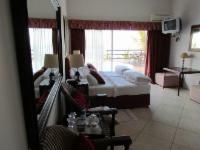 All the rooms are equipped with a DStv decoder, a fridge, a microwave and air-conditioners. Our sumptuous breakfasts are buffets, starting with home-made muffins, cereals, yoghurts, stewed fruit, fresh fruit, and a cheese platter all the way to bacon, eggs, sausages, etc. Durban has the best tropical climate and our Dolphin Coast on the Indian Ocean offers some of the most beautiful beaches on the East Coast of Africa. 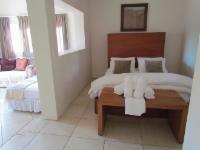 We are within walking distance to some of the best restaurants and pubs in Durban. Beach: Located within easy walking distance from the beach. Stay between 10 Apr 2019 and 30 Nov 2019 and get 10% off. Includes extras to the value of R100 for free..
A minimum booking amount of R930 is required. The venue needs a deep clean. I am hoping the new owners can make the B&B work. Lisa the receptionist is a lovely person and works well with what she is given. The venue also caters for Vegans which is great!!! Place is a bit shabby and could use some maintenance and updating. Room not very private as on deck which is used by all, but for the price it was a decent experience. 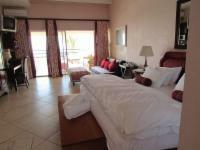 We enjoyed our stay, the location is fantastic beautiful views, just across the road from the beach. We enjoyed the peace and quiet. Lovely sea view, on the beach, lovely deck pool, but definitely not a 4-star facility any more. Very nice place, good service, the food is nice and all the people working there very friendly and helpful. We had room A and that's an awesome room, the swimming pool on the deck right by your room is excellent. Swim and the view of the beach are very beautiful. The money you spend for that room is not a waste. Its worth your money. Thanks guys for the friendly staff and help. Bentley on the Beach is 11.8km from the centre of Durban , the nearest airport 17.4km (King Shaka International Airport).